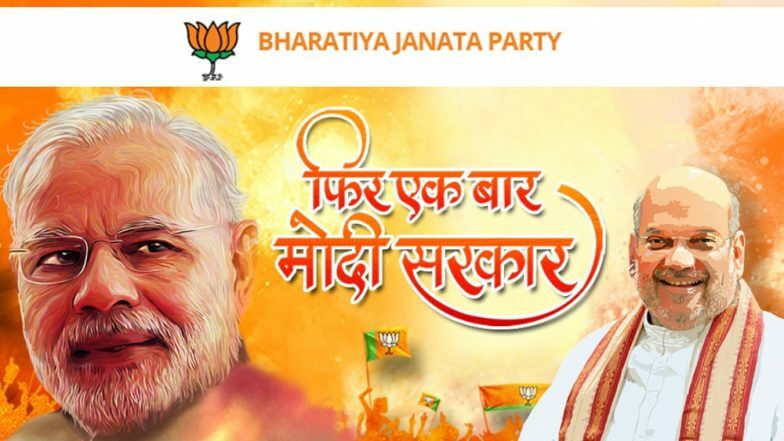 After the Bharatiya Janata Party (BJP) website was hacked on March 5, it took almost two week for the development team to make things look normal. Though the website came back online on March 21, it brought some stern allegations with it. According to the report from India Today, an Andhra-based Startup - W3Layouts has accused the BJP of plagiarising its website templates and intentionally removing the backlink that gave the necessary credits to the company. BJP Website bjp.org Remains Down 12 Days After Being Hacked; French Hacker Offers Help on This Condition. The startup also accused the party through a blog on its site with detailed allegations. The company mentioned that, "We, at W3Layouts, were initially happy and excited that BJP IT cell was using our template, then devastated to see our work being used by BJP removing the back-link without paying, and giving no credit whatsoever to W3Layouts." 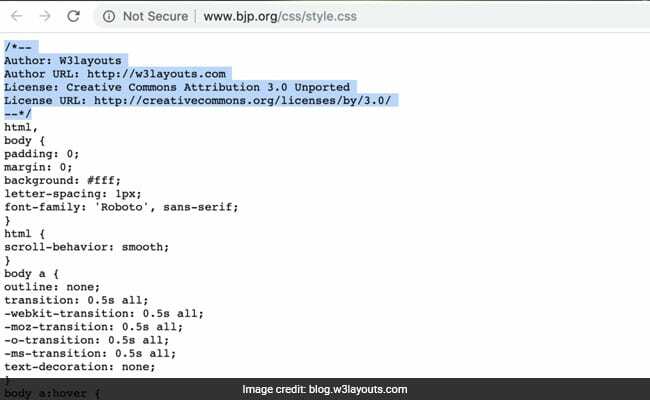 It further mentioned that, "While the visible backlinks were removed, it was clear that BJP was still using the W3Layouts code as it was evident in the source code of the page." BJP Website Hacked; Abusive Words, Error Message Appear on www.bjp.org. The startup also mentioned that the matter was brought to notice of the party through Twitter when it created an archive of BJP’s site at archieve.org. Later on, the party removed the code where ever W3layouts was mentioned in the template. After the matter was highlighted to BJP, the code was taken down from the website the very next day. BJP said, "It was a free to use application. Their code was dropped after they insisted on a back link, as it is not something we do in normal course. We had in fact offered to mention their name but since it didn’t find favour, we preferred to work with alternate solution. We are not using their template." These allegations from W3Layouts have started huge condemnation of BJP on social media. To recall, BJP’s official website was hacked on March 5 which was reported by several social media users across India. They shared numerous screenshots of unappealing meme targeting the PM Narendra Modi. This resulted the development team to take down the website. However, BJP has denied such allegations.